I think one of my favorite vegetables to roast are honestly potatoes because they get so darn crispy and flavorful. 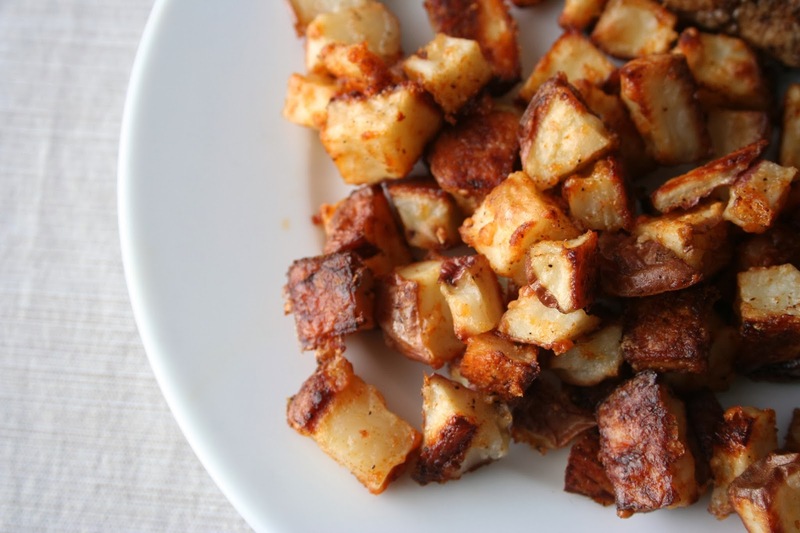 While I still love my Roasted Ranch Potatoes, these country-style potatoes make a perfect side for breakfast, lunch or dinner. They are perfect dipped in a side of ketchup, which is how my husband, toddler and I prefer them. If you need an easy, inexpensive side, these potatoes are perfect for you. 1. Preheat oven to 425 degrees. Line a large baking sheet with parchment paper or aluminum foil sprayed with non-stick cooking spray. 2. Dump diced potatoes into a medium-sized bowl and coat with olive oil. Gently toss the potatoes until completely covered in oil. 3. In a small bowl, mix together the Parmesan cheese, paprika, garlic powder, salt and pepper. 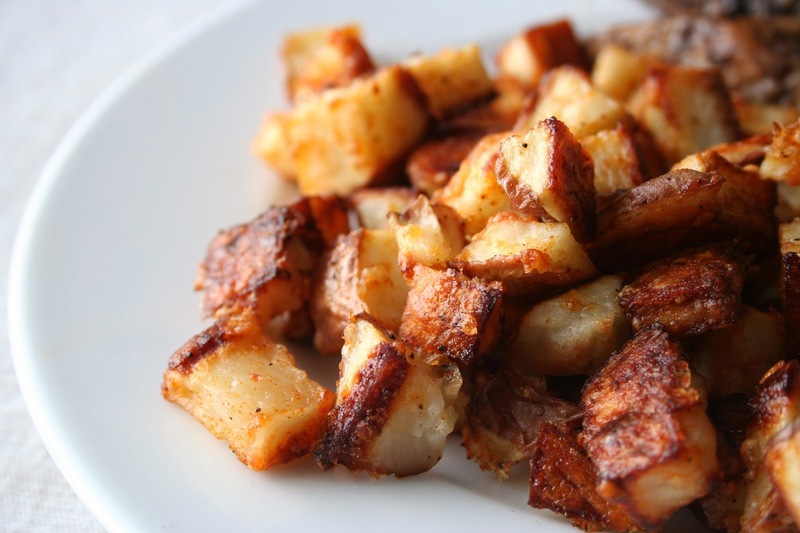 Sprinkle over potatoes and once again toss the potatoes with a spoon to incorporate the spices. 4. Pour potatoes onto the baking sheet and bake for 35-45 minutes, stirring every 10-15 minutes so that they are evenly cooked. When finished baking, remove from oven and sprinkle with additional salt and pepper if desired.